No week is complete without a trip to the market. The produce comes from and is sold by farmers who grow on a very small scale. 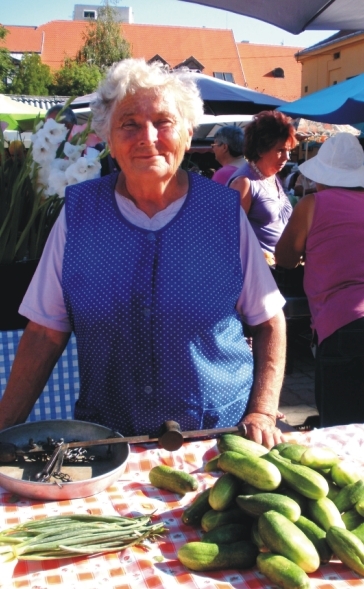 This lady's stall I visit each week for a kilo of the very best cucs. I love her scales, which are hand held from the chain you can just see.